The Sidney Public Library will again be offering “Together is Fun!” Tuesday, January 22 beginning at 4:00 for children K through 6th grade. This session features seasonal crafts and or games. For more information, please call the library at 254-3110. 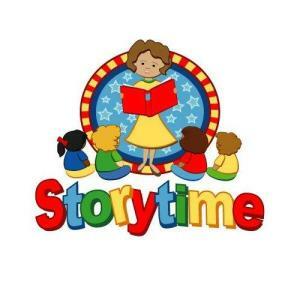 Storytime and Toddler Tales will take a 2 week break and resume Wednesday, January 9 for Toddler Tales – (Ages 2 & 3) and Thursday, January 10 for Storytime – (Ages 4 & 5). For more information, please call the library at 254-3110. The Sidney Public Library is again offering “Together is Fun” Tuesday, December 18 beginning at 4:00. Children K through 6th grade are welcome to participate. This session will feature seasonal craft and or games. For more information, please call the library at 254-3110. The Sidney Public Library will again be offering “Together is Fun” Tuesday, November 20 beginning at 4:00. This session welcomes children K through 6th grade and will feature seasonal crafts and or games. For more information, please call the library at 254-3110. Toddler Tales will begin Wednesday, September 12 for children ages 2 and 3. This session will begin at 10:15 and will feature story and fingerplays/songs. In addition, Storytime will resume Thursday, September 13 for children ages 4 and 5. There will 2 sessions offered – 10:15 and 1:15 and will feature story and fingerplays/song. For more information and or to register your child, please call the Sidney Public Library at 354-3110. Tuesday, July 24 – Wrap-up at Rock ‘n Read Park – 12:00 – FOR ALL REGISTERED AND COMPLETED PARTICIPANTS – Bring a sack lunch – prizes given! Hope to see you then!